Since Bill Cunningham’s death last week, I’ve been thinking that he was New York City’s Marcel Proust. He captured the people of this city, and the special, sometimes hard-to-see beauty of its streets, just as Proust immortalized certain stylish Parisian women, and the particular seasons and moods of Paris’s parks and sidewalks. …along the central gangway leading from the beach to the road I saw approaching, tall, slim, bare-necked, his head held proudly erect, a young man with penetrating eyes whose skin was as fair and his hair as golden as if they had absorbed all the rays of the sun. Dressed in a suit of soft, whitish material such as I could never have believed that any man would have the audacity to wear, the thinness of which suggested no less vividly than the coolness of the dining-room the heat and brightness of the glorious day outside, he was walking fast. With that little snippet, you can get a sense of what made Cunningham’s eye special, and Proustian. He had a sense of history, and a sense of humor. Like Proust, he understood how clothing was a reflection of the wearer’s mood, and the season. Other New York novelists have tried to capture specific fashion moments and trends, but too many of them focus solely on status, the way that clothing can express a character’s aspirations and anxieties. Take someone like Tom Wolfe, whose The Bonfire of the Vanities is full of 1980s fashion. Wolfe, in his trademark white suit, obviously cares about clothes and is very good on the subject, especially the perfectly coifed appearance of the “social X-rays” — a wonderfully memorable phrase. And yet Wolfe did not catch the humanity of his female socialites the way that Cunningham, who photographed them, often did. Cunningham understood that clothing is about more than just personal identity. Fashion is a mirror of the culture, with links to the past and arrows pointing to the unknown future. On its most basic level, fashion is related to the weather, to variations in the color of the sky and the quality of the light. It’s almost too obvious to say, but what people wear has to do with how warm or cold it is outside, how wet or dry the streets are, and for how long people have been stuck in a season, how hungry they are for change. It has to do with collective desires, not always conscious, brought on by the physical environment, as well as emotional factors having to do with the news or the holidays or even something as frivolous as the sudden appearance of daffodils in public parks. Cunningham had a sort of naturalist’s sense for fashion; he was interested in learning how people adapted clothing to fit their environments. Just as you can see in the evolution of the peppered moth, that textbook example of adaptation, how the color of the moth changed after the Industrial Revolution, Cunningham’s photos showed how women’s fashion changed to accommodate their changing daily lives. For instance, the fact that women began to commute meant that women needed more durable and practical outerwear. Cunningham was very interested in commuters. He paid a lot of attention to coats, utilitarian objects that can be quite beautiful and striking if worn with style. One of his famous early photos was of Greta Garbo, though he didn’t realize he was photographing Garbo. He just noticed a woman in a coat with a beautiful shoulder and he photographed that coat, that stunning shoulder. More recently, in another one of his weekly videos, Cunningham observed that pale pink coats were making an appearance, noting that a pale pink coat is luxury item that is very difficult to clean. I love him for remarking on this, because he wasn’t saying it to be a killjoy. Instead his comment was to emphasize that women must really want to wear pink, they must need pink in some way, if they are willing to go to the trouble of wearing it. In another recent video about a trend in black and white clothing, he noticed the way that white clothing was giving way to silver, a subtle metamorphosis that seemed to point to an increasing focus on technology. Cunningham was wonderful on color, in general. Through his photos I learned to see the way certain colors rippled through the city. Meryl Streep taught Anne Hathaway the same lesson in The Devil Wears Prada, with her lecture on “cerulean,” but her speech emphasized the power of the media and the marketplace. Cunningham understood the power of designers, manufacturers, and materials, but he wasn’t as interested in their influence. His great insight as a photographer was that fashion evolves on the streets, because that’s where the people are. It’s such a simple observation, but it became powerful, and then, profound, in the way that he executed it, day after day. Even before Cunningham’s death, I found myself thinking of him while reading In Search of Lost Time. There’s a moment toward the end of Volume I in which Marcel describes pigeons as group of birds “whose beautiful, iridescent bodies have the shape of a heart and are like the lilacs of the bird kingdom.” I read that and thought, only Proust would see the beauty hidden in something as common — and potentially annoying — as a flock of pigeons. But then I thought: Bill Cunningham probably feels this way about pigeons, too. He could see the sublime in the most everyday aspects of city life. He often said he was looking for beauty, and he believed that it could be found anywhere. Like the great novelists, he taught us how to see other people, and the world. It’s been a while since I’ve written one of these diaries. I have to be honest: I don’t think it’s ever been more difficult for me to find time to read. It’s strange, because I’m reading more than I have in years, and yet I struggle for those hours of solitude. I schedule them, I turn on Freedom, I turn off my phone, I go to bars alone, I give up on critically acclaimed TV shows, I unsubscribe from podcasts, and every afternoon I sit my son down in front of Octonauts so that I can sneak into his room and read novels and magazines. I like to read in my son’s room because he has a single bed like the one I had in college, and it is covered by a quilt that my mother made for me. Sitting on that little bed, surrounded by toys, I feel as if I have permission to read solely for the fun of it — not because I need to, for an assignment, or because it will be beneficial, in some indirect way, for my writing. When I started reading In Search of Lost Time at the beginning of the year, I planned to read 10 to 20 pages a day, which I thought would be a reasonable and attainable goal. At least one commenter recommended that I throw page numbers out the window, because Marcel Proust’s prose style does not really bend itself to “reasonable.” Those commenters were absolutely right. Counting pages was frustrating; as soon as I found myself sinking into the book, I would reach the end of my daily allotment. It seemed foolish to limit myself just to make the book easier to digest — or, more likely, because I felt guilty cutting into my “work time” for more than 20 minutes. Likewise, if I really only had 20 minutes for reading on a particular day, there was no point in reading Proust. Better to wait until I could block off at least 45 minutes. For a couple of months this summer, when my son was at day camp, I went to a coffee shop after drop-off and read there for an hour or so. It was a wonderful way to start the day, and I liked it so much that I can’t figure out why I don’t make a point of doing it every day. Then again, why don’t I do 10 minutes of yoga every morning or drink two glasses of water with lemon, upon rising? Those things make me feel great, too, and like reading, they are cheap and accessible. The only thing that stops me is my indolence. There is no one like Proust to force you to examine your habits, and lately I’ve been thinking about how and why I find time to read books — and not only Proust. I actually feel like I’ve got a handle on In Search. I am now about halfway through Sodom and Gomorrah, which means I’ve crossed the border of my previous attempts. I don’t feel any desire to quit, which is not to say that there haven’t been boring parts. There have. But I’ve discovered that I really like having a long-term reading project. It brings a continuity and effort to my reading life that I was missing. Before this Proust project, my reading was disciplined mainly by my book group’s selections, which I generally read at the last minute, a few days before the group meeting — so it’s fresh in my mind, I tell myself. Really, I’ve fallen into a binge reading habit, in general. Because it is so hard to find time to read, and because we live in an age when reading time must be planned, I gravitate toward books that force me to read them, making me forget my to-do list. Books like volumes one and two of Karl Ove Knausgaard’s My Struggle. I read those when my son was two and I remember tipping over the recycling bin and letting him play with the forbidden plastic and glass bottles so that I could eke out 20 more minutes of reading time. But I lost interest halfway through book three, and have left the series alone for the time being. A similar thing happened with the first two Elena Ferrante novels. I lost interest after book three — only to be taken by storm, a few months ago, when the fourth book suddenly seemed to take on a special glow on my bookshelf, and I just had to finish the series. I don’t think there’s anything wrong with abandoning a book or taking a break from a series, but reading Proust all year has reminded me of the particular pleasure of focusing on one author for an extended period of time. I used to do this a lot, when I was a teenager, in part because I didn’t know what to read, so when I found an author I liked, I read everything I could find. But I also did it out of a desire to be close to the writer, to notice obsessions and preoccupations, favored words and phrases, repeated motifs and situations, and of course, to observe the way his or her storytelling changed over the years. For a writer, it’s slightly embarrassing the way a reader can track your development (as both a writer and a human being), but for a reader, it’s intoxicating, and reading In Search of Lost Time has reminded me of that feeling. It’s probably too early to start thinking about what I’m going to read when I’m finished with In Search of…, but I think I’d like to choose an author and read all of his or her works in a systematic way — and then maybe keep doing that, until I’ve exhausted my favorites. For the first time, I see the appeal of being a completist. Sometimes I think that In Search of… is about reading, more than anything else: reading people, reading art, reading memory. Reading people, especially. The most incredible thing about Proust’s novel is his characterization, which I appreciate even more in this reading, now that I am a little older, and have seen the way people change (or don’t change) over time. It is almost magical, the way you get to know Marcel’s friends and witness their transformation over the years. At least some of this involvement has to do with the book’s length. You’re spending a lot of time with these people. There have been some dull passages, usually party scenes in high society, where I’ve wondered what on earth Proust is up to (and sometimes, he will interrupt a passage to assure the reader that this will all be relevant, later) and then 100 pages later, a character from the party will reappear, someone I hadn’t even realized I’d gotten attached to, and I will feel like I’m seeing an old friend. And as Marcel reports on their lives, and the changes in their behaviors and appearances, I will feel as if I am noticing these changes, because I’ve become so steeped in Marcel’s (and, by extension, Proust’s) sensibility. To be steeped in sensibility. For me, this is the pleasure of reading. In real life, it would be hazardous to take on another person’s point of view so completely, but in reading, you can be reckless — and this is what I’ve been reminding myself, lately, when I feel I have no time to read. Am I really going to fill up my days with productive activities? Or am I going to leave some space for recklessness? 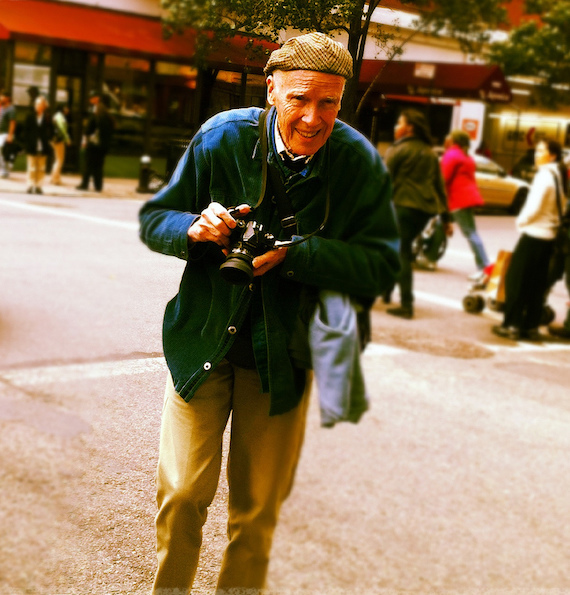 Thanks for this great article – Bill Cunningham: New York is by far my favorite documentary. I walked in having never heard of the guy before and came out a huge fan. He’ll be missed. My son was in a good mood, ready to walk to school with his father, and then suddenly, he was crying. He’s four. The ostensible cause of his tears had to do with some last-minute renovations on a Lego house. He made an adjustment to the chimney, I said “Good enough!” and he got mad. “But I’m not finished!” He threw himself on the floor. He’s not given to tantrums and I knew immediately that he was upset because I had slept in, was still in my pajamas, and would not be walking him to school. He had already accused me of not being nice, an hour earlier, when I pulled the covers over my head and told him I was a hibernating bear who would prefer not to be disturbed. And you know, he’s right. That wasn’t nice — especially when I said I was the type of bear who ate little boys. But I was sleeping so well! I felt like a hibernating bear. I was cocooned in sleep, layered in sleep. I couldn’t bear to be unraveled. The slightest shock makes it volatile. I’ve been trying to remind myself of this, lately, as I decide what television show to watch before bedtime, or when I pick up my phone to check the news one last time. The election, especially, has wreaked havoc on my ability to relax at the end of the day. It’s not only that it’s been so dramatic, unpredictable, and vile, it’s also that it calls for so much analysis. I can’t stop listening to podcasts and reading think pieces even though I know they rarely satisfy, and can’t provide a definitive answer to the question of how we got to this ugly place. Certain disgusting phrases and epithets stick in my mind; the week that Donald Trump’s lewd Access Hollywood tapes were released, I kept remembering incidents of sexual harassment and aggression that I’d put up with over the years. From conversations with other women, I wasn’t the only one having these late-night reckonings. Sleep is the perfect balm for these kinds of obsessive thoughts; the catch-22 is that you have to achieve calmness before you can pass into the even calmer regions of sleep. Sometimes, when I can’t fall asleep, I look in on my son, sleeping peacefully. Often I lie next to him for a few minutes, listening to his breathing, and stroking his soft cheek or holding his hand. I miss the days when he was a baby and he would sleep in his carrier with his head on my chest. When he was around two, my husband and I went through a phase of waking him early from his weekend afternoon naps, when he was still very groggy and tired, because he would snuggle in our laps and fall back asleep. It was the only way we could enjoy the particular peace of mind that comes with holding a sleeping child. I found myself thinking of my son’s peaceful sleep when I read one of the most famous passages in The Captive, that of Marcel observing Albertine while she is napping. Albertine is Marcel’s frustratingly unknowable mistress, a woman Marcel has fallen out of love with by the end of Volume 4 (Sodom and Gomorrah), but who we find living with Marcel at the beginning of Volume 5 (The Captive). Marcel is too jealous to give her up, and so neurotic that he confesses to installing her “in a bedroom within twenty paces of my own, at the end of the corridor, in my father’s tapestried study.” What’s more, he tries to control her social life, sending her out with his chauffeur, who is instructed to keep tabs on her comings and goings. His biggest fear is that she is in love with another woman, or perhaps, several women. He suspects her of lying, and interrogates her acquaintances about her activities outside of his apartment. When that fails, he finagles invitations and manipulates her plans so that she cannot go anywhere alone. And yet for all of Marcel’s controlling behavior, Albertine remains elusive, both to the narrator and the reader. You never feel you know her, which is odd, because one of the hallmarks of In Search of Lost Time is how well you feel you know Marcel’s friends and acquaintances. When Swann died, I felt personally bereft. When Robert de Saint-Loup appears, I brighten up at the thought of his charm and good looks. Even Bloch, who appears very little after the first volume, feels like an old friend when he makes an occasional cameo. But Albertine frustrates me. All I really know of her is what she looks like, and what she seems like. Marcel is always comparing her to other people and things, always trying to reconcile his present, complicated, neurotic understanding of her personality with his memories of the athletic, fresh-air girl he fell in love with in Balbec. But her portrait never comes into focus, in part because he knows her better than he used to — that is, she’s more than just an idealized image — but also because he’s too suspicious of her, too busy analyzing her words and behavior for signs of betrayal. She was animated now only by the unconscious life of plants, of trees, a life more different from my own, more alien, and yet one that belonged more to me. Her personality was not constantly escaping, as when we talked, by the outlets of her unacknowledged thoughts and of her eyes. She had called back into herself everything of her that lay outside, had withdrawn, enclosed, reabsorbed herself into her body. In keeping her in front of my eyes, in my hands, I had an impression of possessing her entirely which I never had when she was awake. Her life was submitted to me, exhaled toward me its gentle breath. This passage is unsettling, and becomes more troubling as it continues, and as Marcel fondles and kisses Albertine while she is asleep, without her knowledge or consent. And yet I could relate to it, as a mother. The first sentences, especially, reminded me of the feeling of wonder I get when I watch my sleeping son — that sense of him germinating in a secret, slow, plant-like way that is impossible to witness moment to moment, but which I know will hit me later on, when, scrolling through photos on my phone, I wonder what happened to the chubby-cheeked baby boy who used to fall asleep in my arms. Of course, it’s easy to love a sleeping child, easy to idealize him as innocent and adorable, easy to forget the whining and the interrupting and the sudden, frustrated tears; easy to believe that he will always be safe, healthy, and above all, close — that he will never do what he is supposed to grow up and do, which is to thrive independently, with thoughts and desires unknown to you and unsatisfied by you. It’s as easy to idealize a sleeping child as it is a sleeping woman, to simplify her personality, to forget that she has multiple and often conflicting desires, social roles, friendships, and responsibilities. It’s easy to believe, when looking upon the closed eyes of a beautiful mistress, that you possess her, and that everything about her is known, or at least possible to know. Her sleep was no more than a sort of blotting out of the rest of her life…This calm slumber delighted me, as a mother, reckoning it a virtue, is delighted by her child’s sound sleep. And her sleep was indeed that of a child. Her awakening also, so natural and so loving, before she even knew where she was, that I sometimes asked myself with dread whether she had been in the habit, before coming to live with me, of not sleeping alone but of finding, when she opened her eyes, someone lying by her side. But her childlike grace was more striking. Like a mother again, I marveled that she should always awaken in such good humor. Reading this passage, 50 pages or so after the first description of Albertine’s sleep, I not only felt assured in the parallels to motherhood that I had previously drawn, but also that Marcel was, like a mother, aware of the futility of his efforts to control another person. The scene that follows is actually quite tender and easygoing, as Albertine, in a reversal, sits with Marcel when he is just waking up. Together, they listen to the sounds of the street vendors passing by Marcel’s open window, and they plan their meal based on the foods advertised. It’s in this scene that Marcel rhapsodizes about the particular, heavy sleep of morning, the sleep that is “four times as refreshing.” He’s also quite honest, for the first time in many pages, about the troubled nature of his love for Albertine, and how he suspects they will both be happier when they have parted. But in the moment, there is only the sensual pleasure of waking slowly, a zone of ambiguity that somehow keeps you from acknowledging the more destabilizing uncertainties of life. 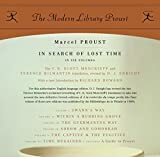 It took Proust about 13 years to write In Search of Lost Time, an extraordinary pace when you consider that he wrote seven volumes, none of them less than 400 pages and some close to 900. And it’s extraordinary considering the quality of his prose, and how interconnected the books are, with certain themes repeating and developing over the course of the novel, and a cast of characters changing over time, aging and evolving (or not evolving), just as real people do. Proust had the end of the novel in mind when he began, and a vague sense that he had found the structure — or, maybe, the moral sensibility — that could finally contain all the different modes of writing he wished to employ: description, analysis, dialogue, gossip, satire, and of course, his essays and insights about memory and consciousness. He was 38 years old and in poor health when he started writing. He knew he did not have any time left to waste. He believed — as it turned out, accurately — that he was writing on deadline. He died in 1922, shortly after completing his novel. Reading Taylor’s biography, I kept thinking about the fact that I’m turning 38 this spring. This felt, at first, like a very egotistical thing to dwell upon, a secret hope that I might be on the cusp of writing a novel as grand as Proust’s. But, delusions aside, I think what really interests me about this parallel is that as a reader, I am the same distance from my childhood as Proust was from his when he began his book. Given Proust’s theme of memory lost and found, that similarity in perception has made the early pages of the novel feel very close to my current experience of memory and time. Even those who have only a passing knowledge of Swann’s Way, the first volume of In Search of Lost Time, will probably know that it begins with a long recollection of the narrator’s childhood trips to the country. This recollection is famously spurred by a happenstance bite of a madeleine cookie dipped in tea. The narrator, Marcel, describes the memories as “involuntary”, and all the more beautiful because he did not even realize he had them; they were bidden by sensory experience, not intellectual recall. When I first read Proust in college, I certainly knew what it was like to suddenly and surprisingly remember something after encountering a particular smell or taste. But at 21, my memories of childhood were so close that nothing really seemed forgotten. If the smell of someone’s shampoo unexpectedly brought back the pretty smile of a long-lost babysitter, I didn’t believe, as Proust did, that it was a stroke of luck to have remembered that girl, and that I might have forgotten her, entirely, if not for that whiff of Herbal Essences. Now, at 37, I understand how distant memories can become. Lately, I feel like I’m looking at my childhood from a slightly higher vantage point, so that I can finally see the topography. Certain events and people seem to have risen in importance while others have blended together. I was talking to a friend my age about this and she knew what I was talking about, reporting that just recently she seems to have forgotten parts of her teens and 20s. Does this happen to everyone, we wondered — was it some kind of subtle marker of impending middle age? Did it happen to Proust? Was forgetting what allowed him to write his marvelous book of remembrance? This sentence goes on to describe the variety of smells in the room, and how they are intensified by the warmth and heat of the fire, baking together “like a pie.” It’s wonderfully childlike, and it brought me back to my grandparents’ houses in West Chester, Penn. Both my maternal and paternal grandparents lived in West Chester (my parents met in high school) but they retired and moved away when I was still in elementary school. Their houses, along with the houses of certain school friends, seemed preserved in a particular part of my memory, at once more specific and dreamlike than the houses and apartments I’ve come to know as an adult. It’s these dream houses — or at least, aspects of them — that I helplessly imagine when a novel prompts me to imagine a house, or when I’m creating a house for a character in a story. My life is a lot more domestic than it was 10 years ago, when I last read these pages, and that’s probably the main reason I’ve been paying closer attention to descriptions of interior space. I’ve also been watching my son grow up, and it’s dawning on me that his earliest memories will be of the apartment and the neighborhood where we now live. I love our apartment and our neighborhood; they have been the location of many important life events, including my wedding reception. And yet, my experience of my apartment will never be foundational, and as I look around its rooms and out its windows, I’m not at all sure what my son will remember of it. When I was his age, I lived in a small town in Maine in a gray house that was next door to a fire hall and across the street from the town common. If you were to ask my father about this house, he would probably tell you about the downtrodden state it was in when he and my mother bought it, and the work they did to renovate. He would recall certain quirky details: the phone booth, the clawfoot bathtub, the little library. He would also remember the inconveniences: the fire hall’s alarm that went off every day at noon; the driveway that needed to be shoveled out every time it snowed; the loads of wood that had to be chopped for the furnace. My childhood memories are dear to me, and indelible. I can only guess what my son’s will be. I can hope for certain things that I consider beautiful to have made an impression: the yellow walls in his room; the wall quilts that my mother made; our framed, antique map of Maine; our tall bookshelves, and our neighborhood walks to Valentino Pier, the bakery, and the cruise ship terminal, where the Queen Mary 2 docks and disembarks every few weeks. I hope — and yet, for all I know, my son’s memories are devoted to the recycling bins, the television remotes, the broken slatted shades, the gum-spotted sidewalks, the dinners in the IKEA cafeteria. I have very little control over what he remembers, and if Proust is to be believed, neither does he — neither do any of us. I used Leap Day to catch up on my Marcel Proust reading. And my laundry. Now, it’s March, I’m doing laundry again, and I’m finally caught up and well into Volume II. I was keeping a good pace with Volume I until mid-February, when my son had a week off from nursery school. During that same week, my husband was traveling in Australia. So it was just me and a three-and-a-half-year-old and a bad Skype connection for six days. I planned activities and playdates but foolishly did not schedule a babysitter. Also, it didn’t occur to me that it would be summer in Australia, and that when I dialed up my husband for an end-of-the-day chat, it would be morning where he was, and that he would be wearing sunglasses, a short-sleeved shirt, and a helpless grin. On the second-to-last day of winter break I was so exhausted that I went to bed at eight, shortly after my son fell asleep. I slept deeply, waking up the next morning with the sense that I was in my childhood bedroom — that feeling Proust describes so well in the opening pages of Volume I. I closed my eyes and held onto the illusion, wondering if I noticed and identified the feeling because I had been reading Proust or if the feeling itself had arisen from reading Proust. And then my son called for me to make his breakfast and the sensation of being in my old bedroom vanished. This is probably the fourth or fifth time I’ve read “Swann in Love,” because even though I haven’t finished Proust’s novel, I’ve returned to “Swann in Love” several times and read it as if it were a stand-alone novella. When I first read it, I was most struck by Proust’s insights about romantic relationships, specifically, the role that memory plays in shaping our idea of a person, and how those memories create a narrative of “falling in love.” We use memories of shared experiences to build a story for our love and then we live in that story, inhabiting it so completely that we no longer see it as a fiction. Falling in love means abandoning an objective point of view for a subjective (some might say delusional) one. Somehow Proust manages to dramatize this change in perception in Swann’s story, making it feel epic and emblematic. Marcel never says who told him the story of Swann’s love affair, though there are occasional references to Marcel’s grandfather, who was friends with Swann’s father, and has a somewhat paternal and disapproving view of the younger Swann. We also meet Swann in the Combray sections of Volume I. He first appears as the visitor whose unexpected appearance disturbs Marcel’s bedtime routine, preventing Marcel from receiving a kiss from his mother. In this way, Swann is a father figure of sorts. But most of the time, Swann is like the fun, bachelor uncle whose unpredictable visits and dilettantish, social existence is in contrast to the staid routines of Marcel’s traditional, middle-class family. Swann fascinates the young Marcel, even more so after his “unfortunate marriage” to Odette, the coquette who is not even “his type.” But the younger Marcel of the Combray years doesn’t know her as Odette, he doesn’t know her “type,” and he has not yet heard the story of Swann’s tortured early years with her. All young Marcel knows is that his parents do not approve of the woman Swann has married. To tell a story well, you need the right combination objectivity and intimacy. It’s important that Marcel’s fascination with Swann begins in childhood. Marcel will always have a memory of Swann that is visceral and associated with his family and his childhood home; he will always feel that he knows Swann in a deep way. That’s where the intimacy comes in. The objectivity comes into play as Marcel begins to wonder about Swann and the world he inhabits — a world that Marcel’s parents conceal or else know very little about. Looking back on my own childhood, the most interesting stories were the ones that my parents only told in part. I would have to piece the untold parts together like a reporter, using logic, deduction, and my own observations to make sense of what little I knew — as young Marcel does with Swann. Marcel’s questions about Swann’s life and his love affairs are essential questions of childhood: what is love, what is sexual desire, what is society, what is class, what, in short, are these mysterious forces that are shaping life but which no one alludes to directly? My father died when I was 12. We were living in a small town in the southeast of Ireland. An old woman came to our house to pay her condolences. She told a story about her daughter, who had left Ireland to live in Brooklyn. She never said “America” or “New York.” She always said “Brooklyn.” Like it was a country all by itself. The way she talked about her daughter’s experiences there — working in a big department store on Fulton Street, marrying an Italian boy — there was something magical about it. I knew even then that one day I would tell that story. Flannery O’Connor famously said that anyone who has survived childhood has more than enough material to write fiction. When I first heard that quote, secondhand and out of context, I assumed she was referring to the trauma of adolescence, and that it was her way of saying, “if you can’t get a story from that transformation, you probably won’t get a story from anything.” That’s part of what she’s saying, but having read the quote in context, her main point seems to be that it’s not life experience that makes you a good writer; it’s your contemplation of whatever experience life gives you. More than any writer I know, Proust shows how the half-stories we hear in childhood, the people we meet, the histories and landscapes we absorb, can be excavated in adulthood, with an adult’s sympathetic imagination.